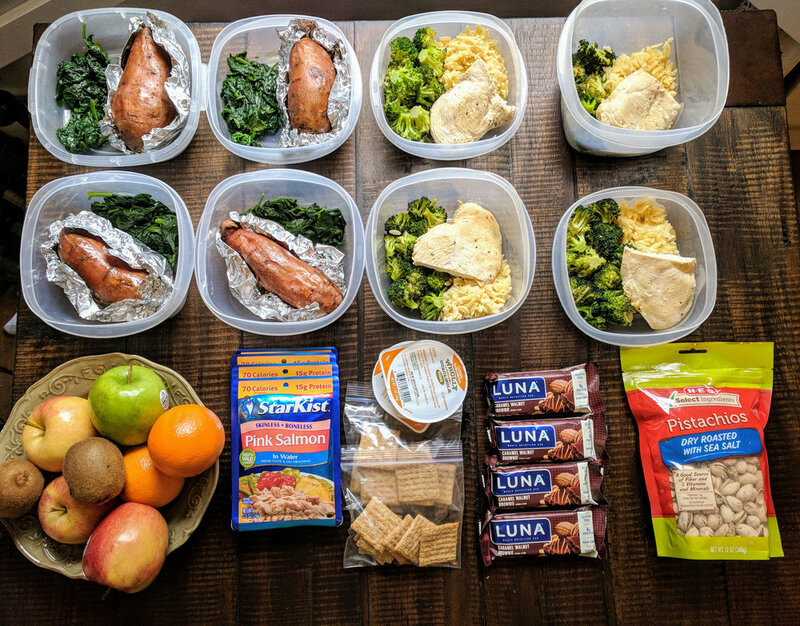 12 meals and 4 snacks completed in this meal prep in under 1 hour! 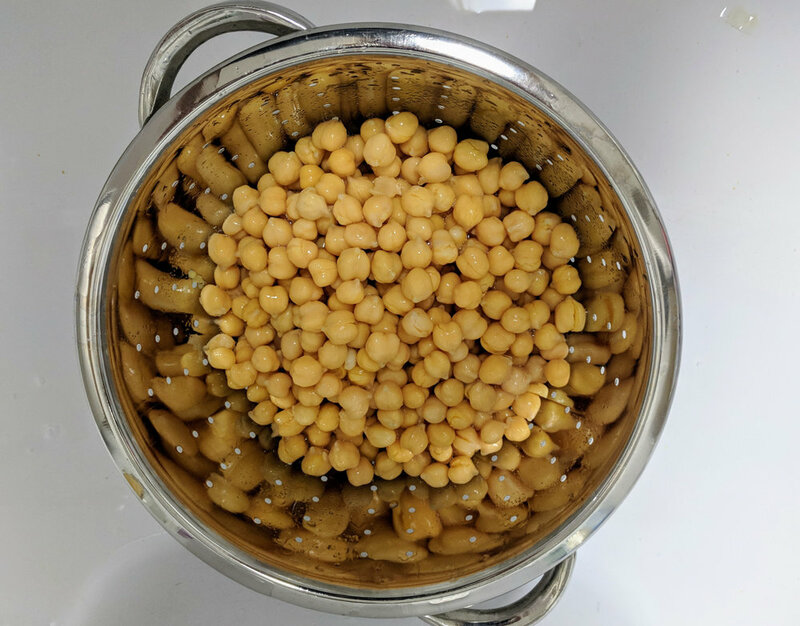 This meal prep is all completed stove top requiring a bit more cookware than usual, but the ability to multitask makes this meal prep a breeze and complete in under an hour. The Amy Organics soups are a great option for a convenient healthy meal. While nutrients vary by soup many of the Amy's Organic soups are lower in sodium than tradition canned soups, are a good source of fiber, and contain minimal ingredients. The soups I choose were Minestrone and Split pea and since they are lower in protein I paired them with a boiled egg. Utensils: 2 - 3 Quart pots, 1 - 5.5 Quart cooking pot, Cooking skillet (I used a 6 quart), and strainer. 1. Using the large 5.5 quart cooking pot add in 3 cups chicken broth and 1.5 cups brown rice. Bring to a boil then reduce heat to low, cover, and cook for 35-45 minutes. 2. Next slice the baby carrots in half and place in one of the 3 quart cooking pots. Add 1 cup of water, bring to a boil then reduce heat to low. Cover and cook for ~ 20-25 minutes or until slightly soft ( or per your preference). 3. Next add eggs to the other 3 quart cooking pot and fill with water (enough water to at least cover an inch over the eggs) and bring to a boil. While waiting for the water to boil add the ground turkey to the cooking skillet over medium heat and break it apart with a spoon or spatula. 4. Once you notice the egg cooking water is boiling, place the cover on and turn off the heat. Allow the eggs to cook for 10-12 minutes. After the eggs cook for !10-12 minutes, drain off the water and cover with cold water and ice to cool. 5. The ground turkey will take ~15-20 minutes to cook. While the ground turkey continues cooking prepare the oatmeal and portion out the crackers. At this time likely the carrots have completed cooking and can be portioned into the single serve containers to cool. 6. After the ground beef is cooked drain off the excess liquid. At this time the rice is likely also complete. Remove rice from heat and remove the cover to begin cooling. Portion the ground beef and rice with the carrots in the single serve container. Allow to cool and refrigerate until ready for consumption. * If you do not have multiple cookware to prepare the items at the same time then just prioritize the items based on cook time. If you have two pots prepare the rice and carrots first then clean and use those pots for the eggs and ground beef. 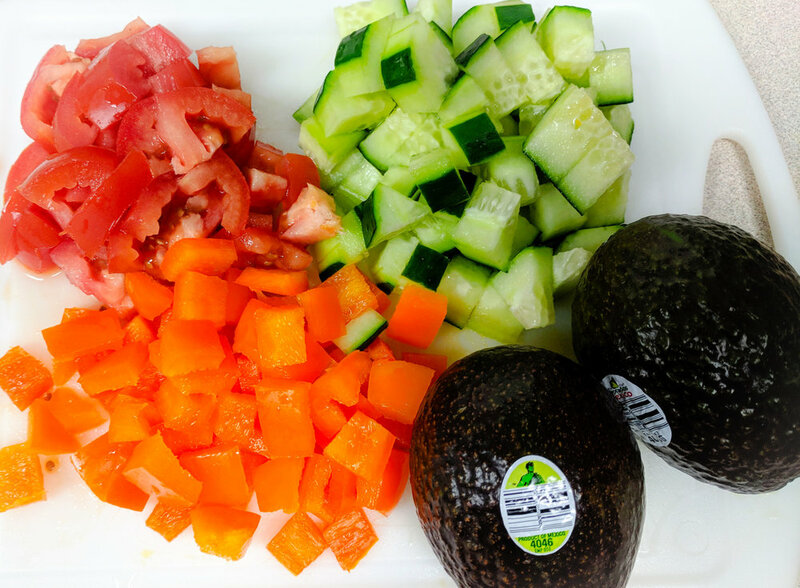 This 90 minute meal prep will provide you with a variety of healthy meals while saving you time, money, and helping you reach your weight loss goals. Meal preparation is another strategy for success in achieving your health goals. Beyond weight loss health goals can include eating more fruits and vegetables, incorporating fish into your diet twice weekly, adding protein to breakfast, or cutting back on portion sizes. Meal preparation is a great strategy to help achieve all these goals. When it comes to setting goals I always recommend my clients to set at least one non-weight related health goal. This could include adding a vegetable to lunch daily, decreasing carbohydrate portion size in half at each meal, or replacing 1 sugar beverage with 8 oz water. When it comes to accomplishing goals it often takes purpose and planning, and that is why meal preparation can be such a great tool to help achieve these goals. Instead of hoping to find something for lunch with vegetables have your lunch ready. Planning is key to success when it comes to dietary goals especially with all the temptations in the food world. Set yourself up for succcess and move a step closer to meeting your goals! Cooking Supplies: Large pot, small pot, deep skillet, large baking sheet, single serve meal containers, and foil. In just 90 minutes transform these simple ingredients into 8 meals, 4 breakfast, and 8 snacks. 2. Marinade chicken*. Trim chicken cutlets and place in large plastic bag. Add 1/4 cup olive oil, juice of 1 lemon, 1 tsp salt, and pepper. Zip bag shut and push chicken around as to coat all the marinade. Place in fridge to marinade for at least 30 minutes. 3. Line baking sheet with foil. Wash spinach and broccoli. 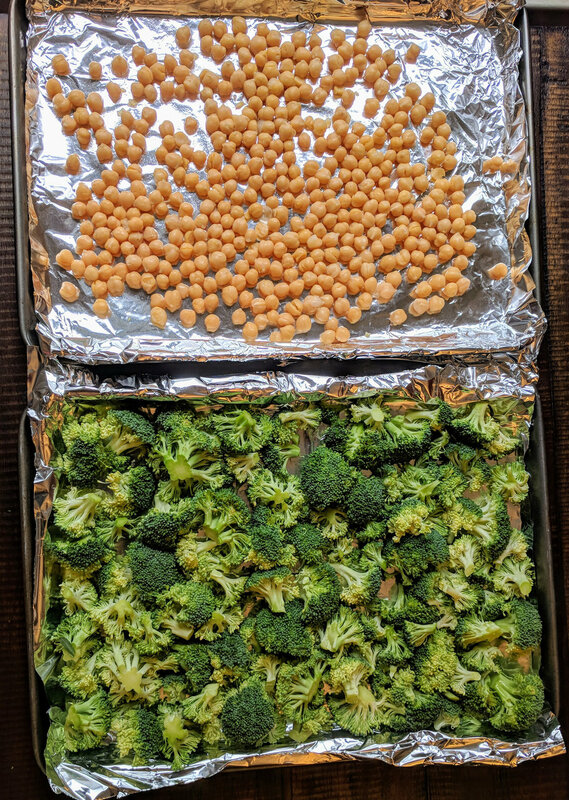 Cut broccoli and place on baking sheet. Drizzle with olive oil, salt, and pepper and place in oven to roast for ~ 10-15 minutes. Remove spinach from stems and place in small cooking pot with ~ 1 inch of water. Cover and steam on low for ~ 3-4 minutes or until just wilted. Remove from heat and lightly drizzle with olive oil or season with lemon juice. 4. While broccoli continues roasting cook orzo according to package instructions (1 cup ozro per 8 cups water. Bring water to a boil, add orzo, cooking boiling for 8-10 minutes, and then drain water from orzo). At this time broccoli is likely nearing completion or complete. 5. While orzo is cooking start the chicken. In a large cooking skillet on medium heat add chicken cutlets. Discard marinade. Cover and let cook for ~ 7 minutes per side or until cooked to correct internal temperature. 6. While orzo and chicken continue cooking place broccoli and spinach in their storage containers or single serve containers to help cool and to allow for clean up. Clean baking sheet and small pot***. 7. Remove chicken and sweet potatoes when they are done cooking and allow to cool. Plate with vegetables and orzo for single serve meals. * If your schedule allows you can marinade the chicken overnight in the refrigerate. **To save time you can also cook the sweet potatoes in the microwave. Follow the same prep except do not cover with foil. Cook for ~ 5 minutes per potato. 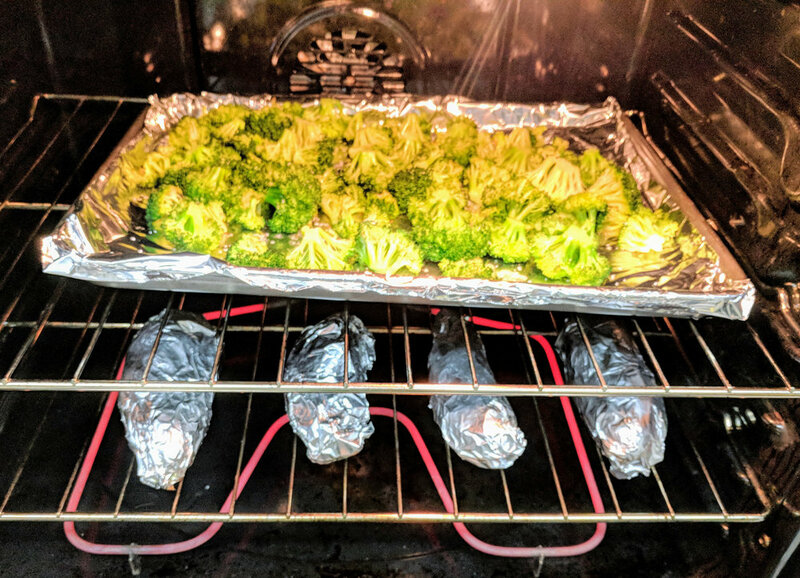 ***This meal prep is on the higher side of pots and baking sheets used, but there is also good down time to clean as you go and prevent a large mess at the end. Total Meal Prep Time: 1.5 hours.